I can appreciate how the situation in Syria has confused many friends and I will attempt to clarify some of the more confusing points. Turkey seems to be the most complicated element in that conflict and I will start with that. Turkey, a NATO member and one of the original “willing” partners of the US in that coalition against the Syrian people, has been instrumental in the creation of ISIS, by providing safe passage through its territory for these terrorists, training camps, distribution of American supplied weapons, the 10,000 brand new Toyota trucks, the order for which can be traced back to Ankara, hospitalisation for the terrorists, R&R resorts for the weary “jihadist”, and the direct funding of ISIS through the purchase of stolen oil from them that all went through Turkey. The turning point was when the Turks made the mistake of downing the Russian SU-24 over Syria, expecting a response from Russia and a direct NATO involvement against the Russians, hoping they (Turkey) would get a share of the spoils in Syria. When their NATO allies did not show a willingness to back Turkey and get her out of the corner it painted itself in, Erdogan realised he was being thrown under the bus and started accusing his former partners in crime of the same things he too had been involved in. Erdogan’s “spilling of the beans” did not go down well with his NATO allies that hastily put together a plot to oust and replace him with a more amiable puppet. However, the wily Putin who did not immediately respond with the expected knee jerk reaction to the downing of his jet and murder of the Russian pilot, saw the opportunity to “win” the now disillusioned Erdogan over, by informing him of the plot against his government and possibly even his life. Armed with the information from the Russian secret services, Erdogan was able to foil the coup attempt and feeling grateful toward Russia that not only did not punish him for doing them wrong, but saved him, he promptly apologised to the Russian people and offered compensation to the family of the murdered pilot. Alienated by his “friends and allies”, Erdogan found a welcoming embrace in the arms of Putin who showed him the respect befitting the ego of the “Sultan” and introduced him to his Iranian friends who also showed him the respect he craved. Erdogan’s sudden turn was driven by his instinct for self preservation, but he’s crafty enough not to leave the fence where he’s perched and continues to exploit his country’s geopolitical position to his advantage by playing both ends against the middle. Threats of closure of the NATO base of Incirlik have forced the Americans to seek new allies in the region, as Erdogan had proven unpredictable, unreliable and too contentious; unlike the rest of the US lackeys. ISIS, created by the US & Co. was being eradicated by the Russian-led coalition and no amount of deliberate mistakes made by the US to assist that terrorist organisation could save them. 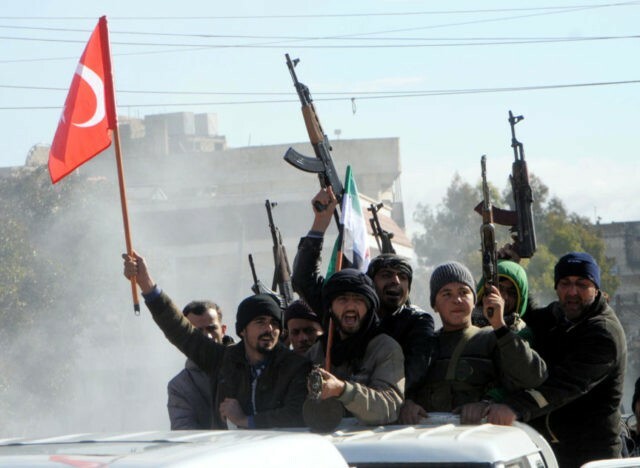 The FSA, that the Americans also helped in order to overthrow Assad and generally destabilise Syria, proved either ineffective or more loyal to Turkey, as a large number of them were Turkmen, than to the US. The CIA had recognised the ambitions of the Kurdish minority in Syria for the formation of their own state and capitalised on that. Promising the hapless Kurds all sorts of concessions in a future Syria, they won them over and began to shape them into a veritable army with modern weapons and US training. 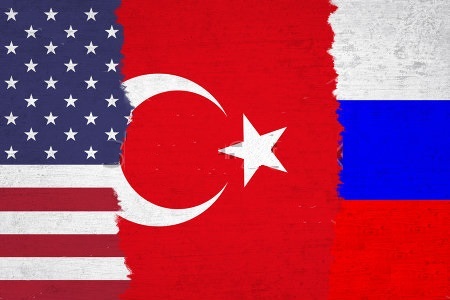 This move by the US may prove to be the last straw that will break the camel’s back as far as the alliance between the US and Erdogan’s Turkey goes. The Kurds are anathema for Turkey in general and Erdogan in particular who sees this latest move by the Yankees as another betrayal of their “friendship”. What we have now is Turkey gathering all the remnants of the FSA (about 20,000 of them) and about 1,000 former ISIS fighters that were not considered important enough to be airlifted to safety by the US military, and placing them on the front line in its “glorious” battle against the Kurds in Afrin, with Turkey leading from the rear and restricting its role to bombing from the air, shelling from across the border and issuing orders. Afrin, a Kurdish enclave in the northwest part of Syria, is not one of the Kurdish held areas where the Americans had much involvement in and there are no American instructors there, so Turkey’s gambit there is considered a safe bet with minimum risk. Both Russia and Syria express their “objections” to the Turkish involvement on Syrian soil (for the record), but there’s no serious effort to stop them from continuing to play the role of spanner in the works of NATO. The Americans too, continue to caution Turkey against stepping out of line, but Afrin is not enough of a threat for their newly formed alliance and revised plans for Syria. However, Erdogan has made noises about moving against other Kurdish held areas too that are of great American interest and that host American military presence, and although that sounds more like a bluff than a serious threat, the Americans are sitting up and taking notice. 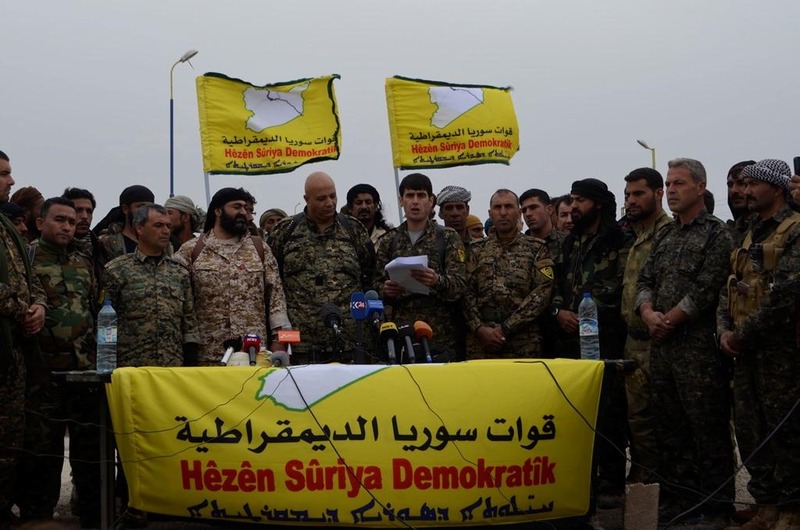 Now, the SDF the US is backing, although made up of mostly Syrian Kurds, it also includes a mixture of other groups like former FSA combatants and those ISIS members rescued by the USAF. Although nobody’s really pleased about Turkey’s involvement in Syria, the Russian coalition recognises the advantage of having two former NATO allies at odds and, for the time being at least, they are willing to allow the Turks to cause some damage. At this point, it would take a crystal ball to predict how all this will play out, but I’m pretty sure military planners in both Moscow and Washington are busily working on contingency plans for this fluid situation.